We have a large, diverse and experienced team with backgrounds in road transport, bulk haulage, logistics and supply chain. 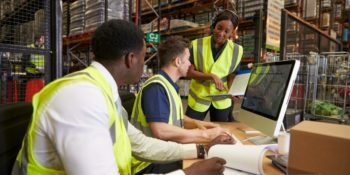 Crucially, we have a deep understanding of the markets in which we operate, our customers’ businesses, the challenges they face and the support they need to deliver an outstanding service to their customers. Joined Abbey in 1995. Became Finance Director in 2004 and CEO in 2009. Qualified management accountant & founder of industry initiative ‘Think Logistics’ encouraging young people to join the industry. Since becoming CEO in 2009 Abbey’s sales have grown from £18m to £55m. Mike leads Abbey’s business development team and is responsible for identifying new customers and opportunities. Mike is a highly-experienced logistics and supply chain professional and has enjoyed a long career in both business development and operational roles for some of the UK’s most successful logistics companies, sectors including; food, gas, chemicals and construction materials. Joined Abbey in 1994 and has worked his way from transport planner to his current role. 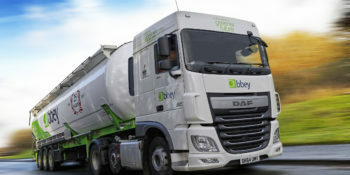 Dave has an in-depth knowledge of all aspects of the business and has been instrumental in growing Abbey from bulk liquid tanker transport business into a diversified logistics provider.